It's the release date we've all been waiting for. The Legend of Zelda: Breath of the Wild was revealed today at long last, showing off a colorful new world in which Zelda fans will have several ways to interact with it. It's a unique blend of soft coloring and what looks to be cel-shading, with some of the deepest RPG elements to balance things out. Most importantly, it's going to be releasing in 2017 for both Wii U and NX simultaneously. The hefty E3 2016 demo shown during Nintendo's official streaming Nintendo Treehouse event showed off special items like the Sheikah Slate, which can be used to activate objects like doors, etc. There's a seal that Link much touch and break down, hiding a being within who possesses long hair -- Oman Au, the creator of the trial Link has been completing this entire time. Link is bestowed with a special gift: a Spirit Orb, which possess a Hylian crest. Link receives it as it dissolves into his chest and the blessing "May the goddess forever smile upon you" is imparted to Link as Oman Au fades away. 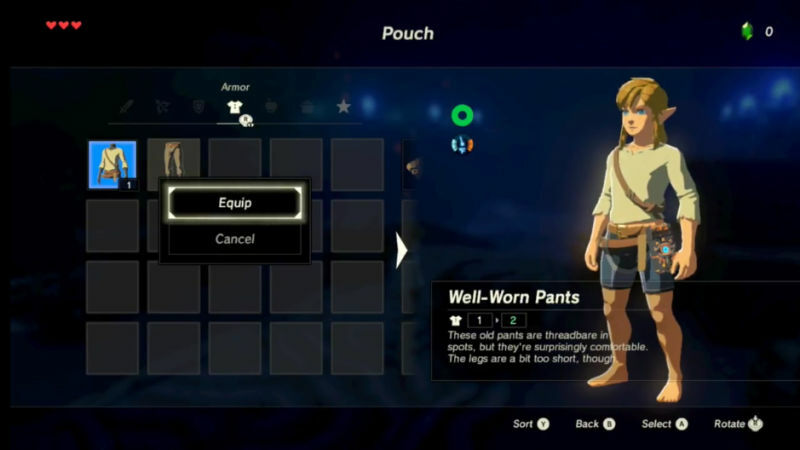 There's a loading screen after that, and then after some brief conversation the stream resumes as Link selecting items is shown off, where the items are bathed in red as items Link can touch and move with his magnetic tool. Later in the stream Link authenticates the Sheikah Slate for a flashy cut scene that leads into a "rune extraction" scene, where it shows off how you can switch out runes quickly using the Wii U's gamepad. There's a whole lot going on with the newest look at the latest addition to the Zelda series, so hopefully we'll have a little more information coming down the pipeline as E3 2016 stretches on.